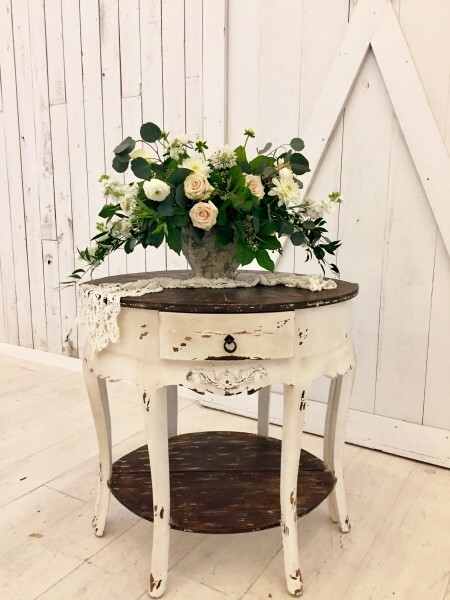 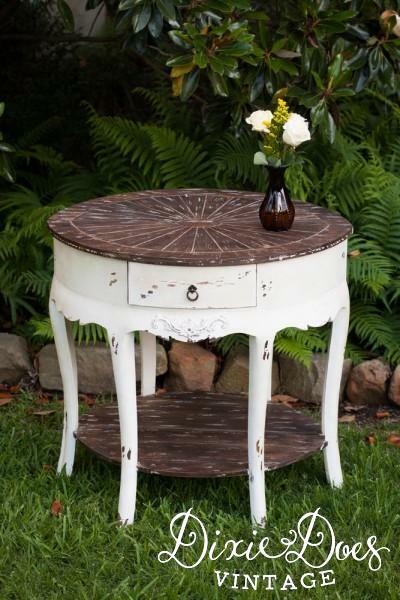 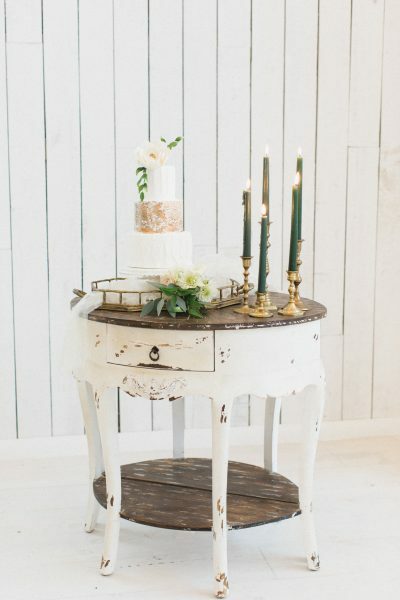 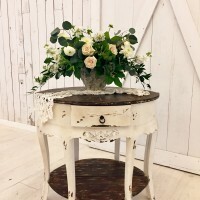 Lovely unusual one of a kind ornate distressed two piece round off white table. 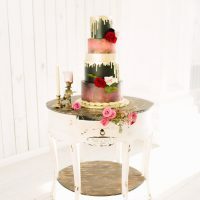 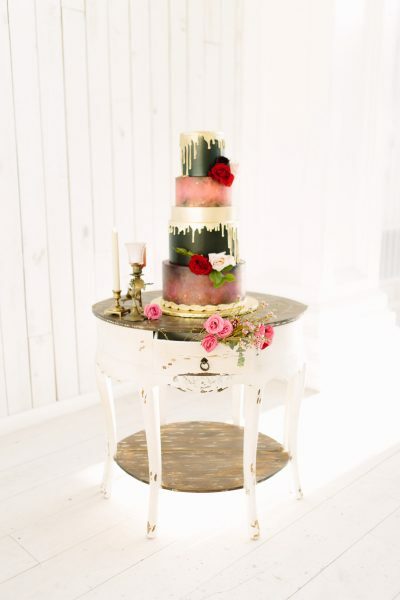 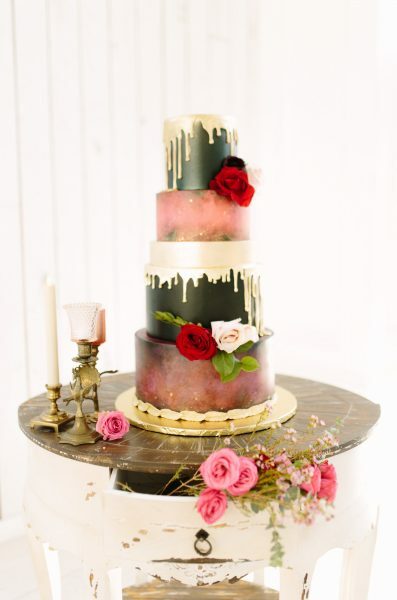 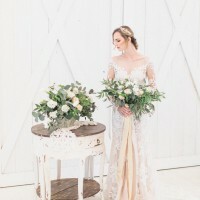 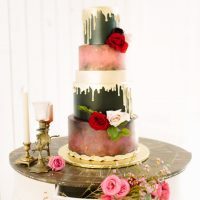 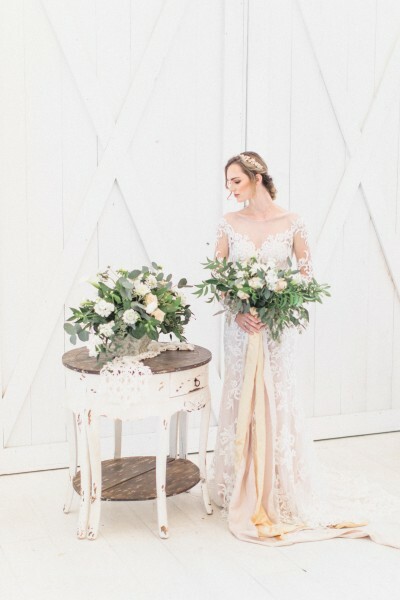 Perfect 360″ display table for your wedding cake! 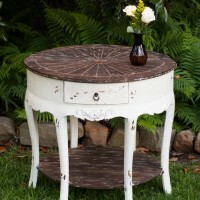 Can be separated and used as two accent tables against a wall or put together to create one 50” round. 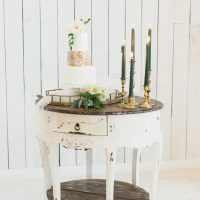 Makes a beautiful centerpiece cake or ceremony table.